A month later the weather began to clear. The parent ravens were busy feeding the remaining two chicks in the nest. Ravens like many wild things will eat what they can. I have watched them carry the fledglings of other birds up to their nest to feed their young. 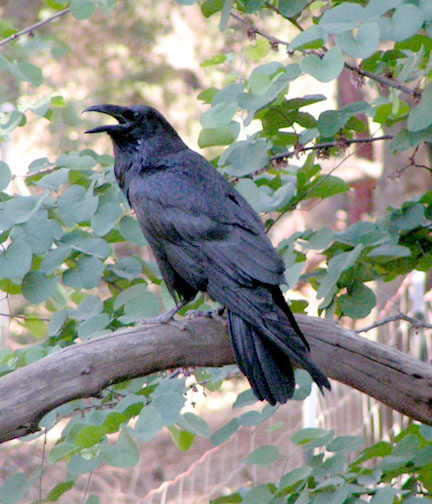 Ravens are known to even eat the fledglings of other ravens which may be why they guarded the nest so aggressively. Posted on March 9, 2013, in Psi Keep Center for the Arts, Ravens and tagged PsiKeep, raising ravens, raven at PsiKeep, ravens, ravens at PsiKeep. Bookmark the permalink. Leave a comment.